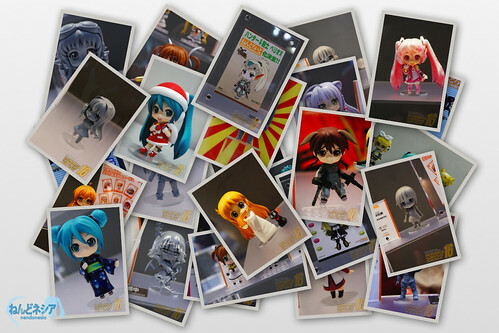 Which Nendoroid are the most exciting for you from Summer WonFes 2012? Well, we have already gone past the exciting (or depressing XD) Summer Wonder Festival 2012 last Sunday. Some of you (and us) might be facing a dilemma: “This Nendoroid looks awesome, but that one looks cuter!” or something like that. Note: There are no limit of how many choices you can select in the poll. This entry was posted in News and tagged nendonesia, wf2012, whl4u, wonfes. Hakase, Akari, Kanna, & GUMI are the ones I’m excited for the most! *votes mirai* ^^ way to go Danny Choo-nee-senpai! also note to others; voting twice doesnt work how do i knw….? a huntch…..? I am so excited about GUMI and Sakura Miku ^^! They’re definatly going to be on my Christmas List XD The Jumbo Miku looks promising also.